Blue, white, lavender and purple corymbs, racemes and panicles will glow from shadowy woods and blaze from sunny meadows from now till the first hard, killing frost. Asters comprise a large beautiful complex and challenging group of wildflowers to pin down. 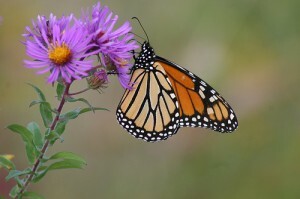 More than 20 species of the genus Aster have been recorded from the Great Smoky Mountains National Park. Because of considerable variation within species and the tendency of species to hybridize, even competent botanists are sometimes left to a “judgment” call when trying to identify certain individuals. As a not-so-competent botanist, if I’m without a guide once I get past the 1/2 dozen or so I can recognize they are simply, “one of the asters.” That doesn’t diminish their beauty or my delight in seeing them, though. If you’re a botanist or botany student with a good grasp of botanical terms there is probably no better guide for asters in the region than the most current Manual of the Vascular Flora of the Carolinas. But one must be really familiar with botanical terms to navigate quickly and correctly through the large dichotomous keys in the guide. And probably not many of us weekend warriors want to carry the five-pound tome along in our backpacks. A couple of more accessible and easier to hike with guides I always recommend are Newcomb’s Wildflower Guide and Wildflowers of the Southern Mountains. Both of these guides have a type of key that aids you in identifying the plant. The Newcomb’s key is a bit more involved – more detailed. Newcomb’s also relies on line drawings for descriptions and has only a few color plates. I actually like the line drawings, particularly when dealing with very similar characteristics that might be overlooked in a photograph. The Wildflowers of the Southern Mountains uses a general key to group similar plants within a family or genus together and then relies on detailed descriptions to pin down the species. Wildflowers of the Southern Mountains uses photographs to help with ID. And while they are great photos and there are 600 of them it’s easy to see that in the plant world, you are going to be left with a lot of stand-alone descriptions. I believe the guide lists 29 species of asters and has 12 plates. 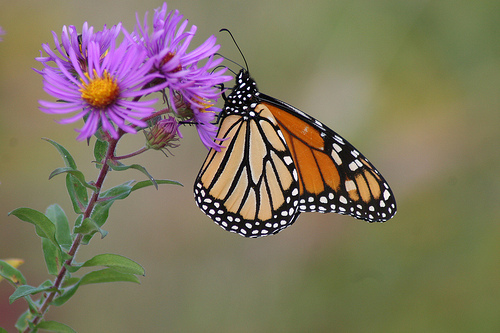 There is no silver-bullet, especially in field guide form, when it comes to identifying asters. Both of the last two field guides are good guides. I know some people who use the two in tandem and increase their odds of ID-ing local asters. Scott’s Creek Overlook along the Blue Ridge Parkway is usually a great place for asters. I have recorded Aster divaricatus, white wood aster, A. novae-angliae, New England aster, A. infirmus, cornel-leaved aster and A. acuninatus, whorled wood aster from this overlook.